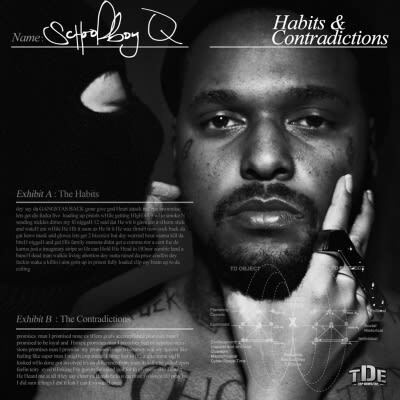 Arguably the most menacing lyricist of the Top Dawg brigade, ScHoolboy Q's cover for Habits & Contradictions is a compelling snapshot of the Los Angeles native's psyche. The tatted-up MC is juxtaposed against a woman sporting a ski mask and brandishing a four-finger ring...while licking his face. It's stylish yet provocative. Chilling yet captivating. Prior to this album, Schoolboy was on the come up, but still in rap's peripherals. After witnessing this cover and its content, that's a thing of the past now.